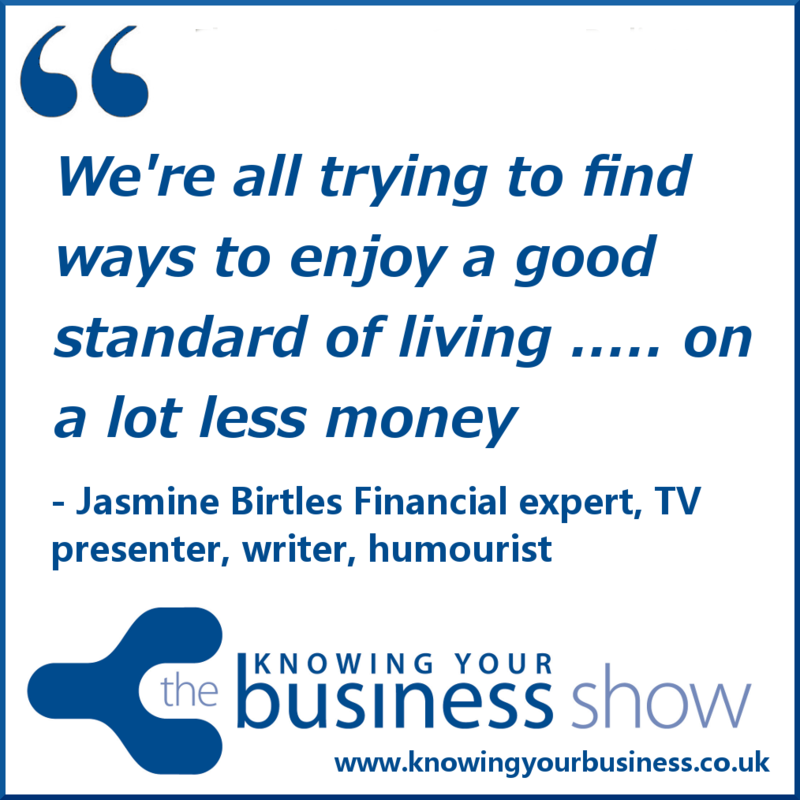 We speak with Jasmine Birtles known as the Money Magpie with a website that helps save money, with regular updates on freebies and bargains. Plenty more on the Money Magpie Website. The aim is simple – A Money Magpie helping others become one. Jasmine also likes to have a good laugh too. Guest presenter Judy Mansfield asks the all important questions. Jasmine began her broadcasting career in Steel City, as a news reporter for BBC Radio Sheffield, but moved to London in 1992. She worked as an assistant producer for BBC Breakfast news and a news reporter for Sky News, LWT and Thames. Once she got a taste for broadcasting in the big city there was no stopping her. 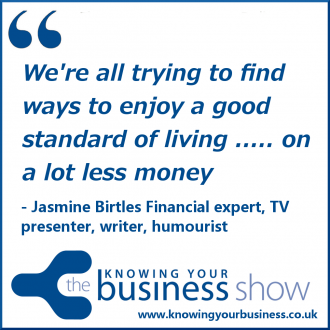 In 2004 Jasmine hit a much wider audience as presenter of BBC One’s ‘Homes under the Hammer’. The cost of finding good housing in the UK is obviously a real hot topic, and this phenomenally popular TV show, focusing on property auctions, cemented Jasmine’s reputation as a top financial journalist. Known as the Money Magpie with a website that helps save money, with regular updates on freebies and bargains. Money making tip number one from Jasmine in this little 0:58 second clip. You can earn very reasonable money. Another money making tip from Jasmine in this 1:15 second clip is mystery shopping with a difference. in this 2:28 second clip we hear two money making suggestions for those who may be stuck to the house. Popular with young Mums. Jasmine tells us about the collaborative economy in this 1:26 second clip with a couple of interesting stories. A business that is growing at 40% a year at the moment. The Knowing Your Business show was presented by Ian Gentles and guest presenter Judy Mansfield. If you have any questions for Jasmine or would just like to leave a comment, please do.